Menu engineering is the practice of strategically planning your menu to maximize restaurant profits. A restaurateur can engage a menu engineer to identify the establishment’s most popular and profitable ingredients through a variety of design techniques. The entire process starts first by analyzing the items and understanding which ones are popular and profitable. 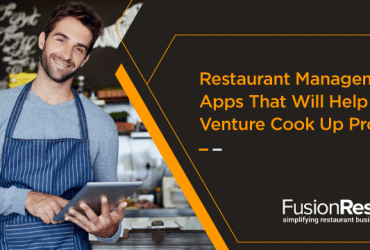 This initial step is crucial because it lets the restaurateur decide which items on the menu will affect the bottom line. There are several advantages of menu engineering, but the most significant benefit is – menu engineering identifies a series of strategies that psychologically entice the guests and subconsciously encourage them to spend more. Costing a menu is a concept that plays a pivotal role in the success of any restaurant. It’s the process of breaking down every item on your list to its ingredients and decide how much it costs to create each of these items. As you know, a menu forms the soul of the restaurant, a glance at it lets the guests understand the type and style of the cuisine. In addition to that, the menu also shows how much a guest needs to pay for a particular dish. 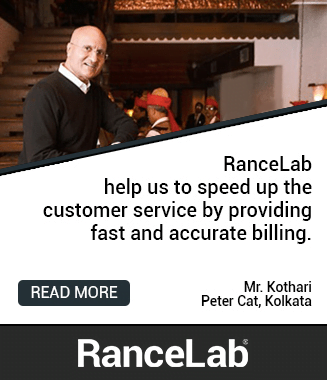 From the arrangement of the enticing and delicious dishes and their correct pricing, an establishment can create a large pool of satisfied customers. But above all menu design reflects the degree of success of a restaurant. So, a meticulous menu planning is essential to calculate correctly what it costs you to put the plate in front of the customer. 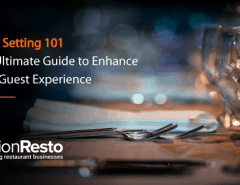 Although menu costing is a tedious process, yet expert restaurateurs suggest that if you want to grow your revenue following the principles of ‘costing a menu’ would bring in miraculous results. Menu design engineering is fruitful when you first identify the profit areas of your menu and act accordingly, i.e., split your food and drink items into four different categories and determine which areas bring in high sales at high margins. This process is called menu analysis. Food and beverages those are both popular and profitable, i.e., both the “Profit Category” and “Sales % Category” of these items are high. These are the most useful items on your menu. You need to maintain rigid specifications for quality, portion size and presentation. 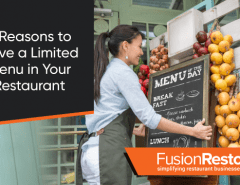 Remember to keep these items in a prominently visible position on the list and make them your restaurant’s signature dish. These are items that are profitable but not popular which means the “Sales % Category” is low but “Profit Category” is high. Also known as Challenge, interestingly these items yield high contribution margins. Brainstorm before considering whether you should keep these items on your menu at all or not. Items that are popular but unprofitable, which means food and beverages whose “Profit Category” is low but “Sales % Category” is high. This category is also known as Plow horse / Workhorse, although these items do not yield a high contribution margin, yet they are popular because the price-conscious clientele prefers them. Food and beverages whose both “Profit Category” and “Sales % Category” are low fall under this category. These items are both unpopular and unprofitable and hence yield decreased contribution margins. As these food items are losers, you may eliminate them from your menu item classification category or increase their price to see whether they can serve as your savior or not. Creating such a list like above will easily allow you to decide which food items are crucial profit areas and which ingredients you need to improve on in respect of quality and quantity. You then get the scope to adjust the pricing of those items finally converting them into a popular and profitable menu. Once you have identified your profit areas and planned the costing the next step is recreating the menu. But while doing so, you are suggested to take some care. It’s advisable that you maintain the specifications of the item rigidly and never compromise with the quality of the product served. If you recognize a favorite item which is unfortunately not profitable, find out ways how to increase the contribution margin without decreasing its popularity. You can do this by reducing the cost of the accompaniments served. For example, you might substitute less costly side dish. Or you might try reducing costs by decreasing the portion size. Menu design engineering is not complete if you don’t let your guests know what you are offering them. The best way to tell your customers about your culinary presentation and their value – redesign the menu and print them out. Feature the chosen items into their prominent location on the menu along with proper pricing. Besides, having server suggestions can work wonders too. For example, when your guests ask suggestions for, you may propose them to try one of your popular yet unprofitable items. This way you would get the opportunity of testing the possibility of increasing prices slightly thereby growing your revenue. As you know, people always get attracted to things that please their eyes. So sprucing up the guest-facing menu with eye-catching imagery, beautiful font style and text size reflecting your brand style would give miraculous results. While designing and printing the menu chart, understand the psychology of your guests- what do they think while looking at a menu, what’s their eye movement pattern, which certain areas get more focus, etc. You can then use this knowledge and present a profitable carte du jour. When you have played all your part, analyzed and created a new menu isn’t it time to evaluate its acceptance? You have brainstormed a lot now it’s your turn to see how well you have performed the task of menu engineering. 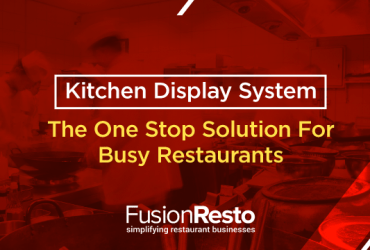 If you are a large establishment and have branches, plant your new menu in a single location. But experts recommend that if you operate a single unit don’t try to test your new menu. Simply implement it and reap the benefits. Needless to say, tracking two sets of results from a single location can get complicate. We can’t deny the risk of losing out in this highly competitive age. Hence we need to find out proven ways that will help us sustain predominantly. A menu is the sole profit driver of your restaurant putting careful thoughts into designing it is crucial. 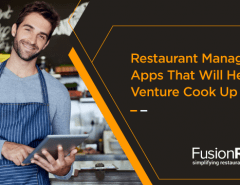 Engineering a restaurant menu is all about planning a fulfilling customer experience along with growing your profit. 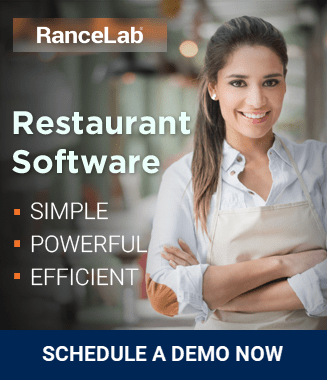 There are several restaurant software that guide you and help you grow your revenue exponentially.